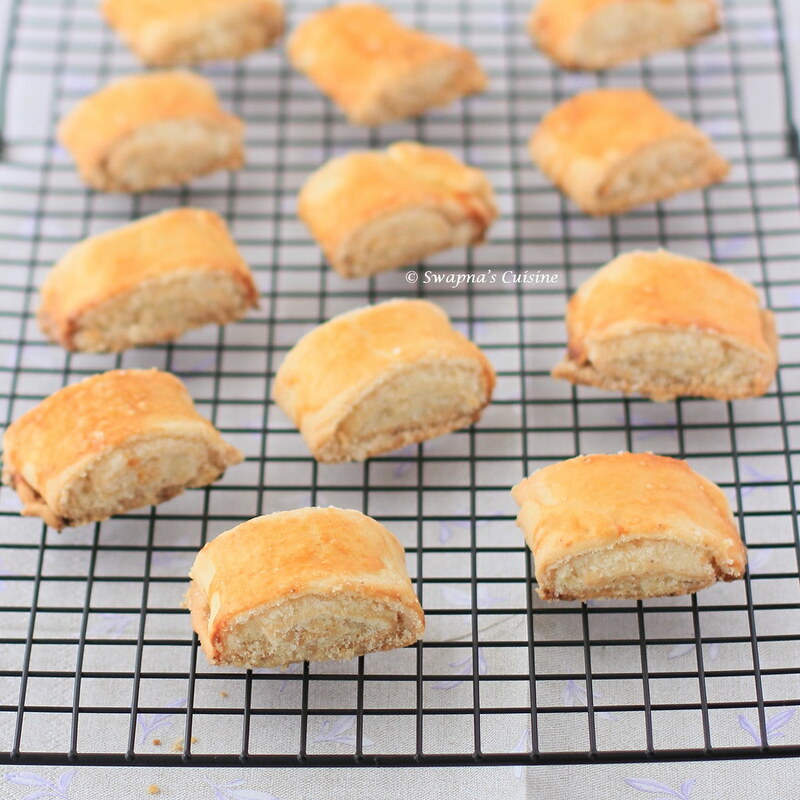 Nazook is a flaky pastry, with a sweet filling, that is very common in Armenia, Russia, Iran, Ukraine and many other places around the world. 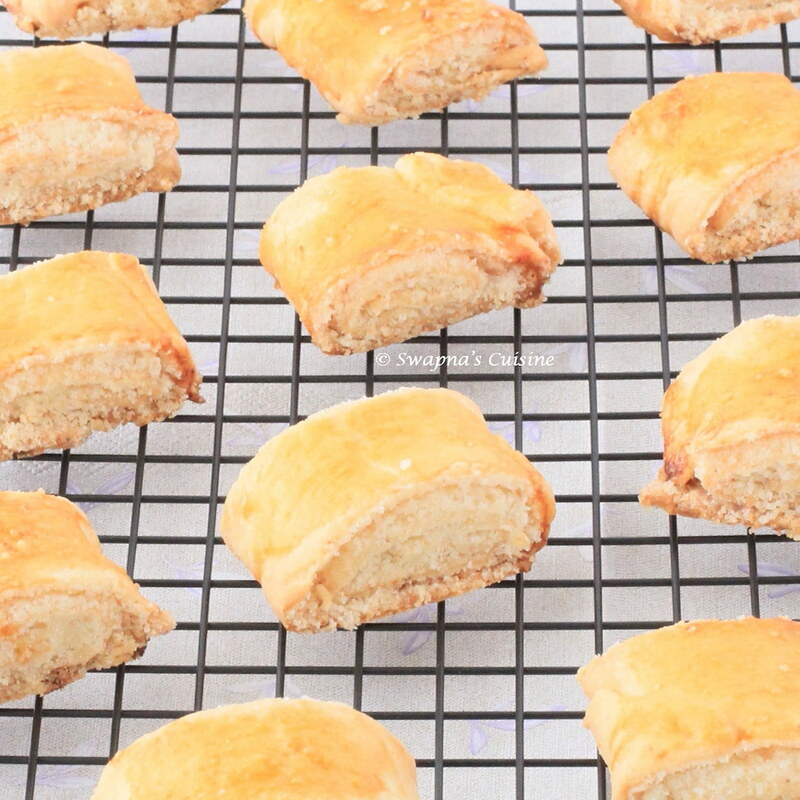 It is a delicious snack with afternoon tea or coffee. I only made a quarter amount of the pastry and got 12 pieces of Nazook. 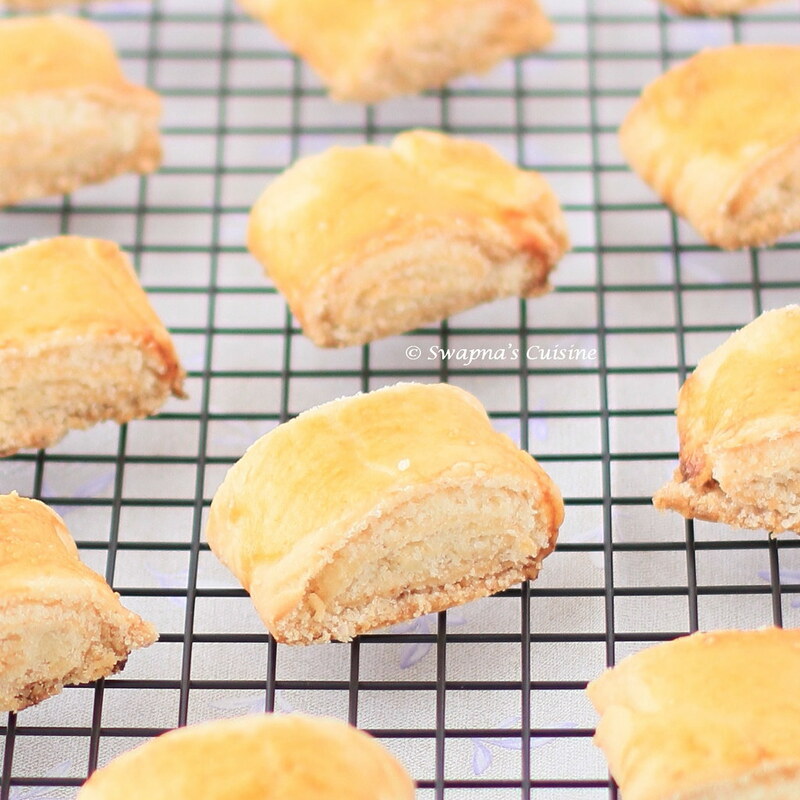 I really enjoyed making this super easy sweet pastry. about 10 minutes, or until the dough no longer sticks to the bowl or your hands. If it remains very sticky, add some flour, a little at a time. 13. Roll out the dough into a large rectangle or oval. The dough should be thin, but not transparent. I never heard of these. They look great! I will try the Nazook and then will let you know how it turned out. Thank you. The recipe came out perfect. It was hard to roll the dough correctly into a rectangle. The filling was spilling out after cutting the roll. The Nazook tasted very good but it was a little dry. Thank you.